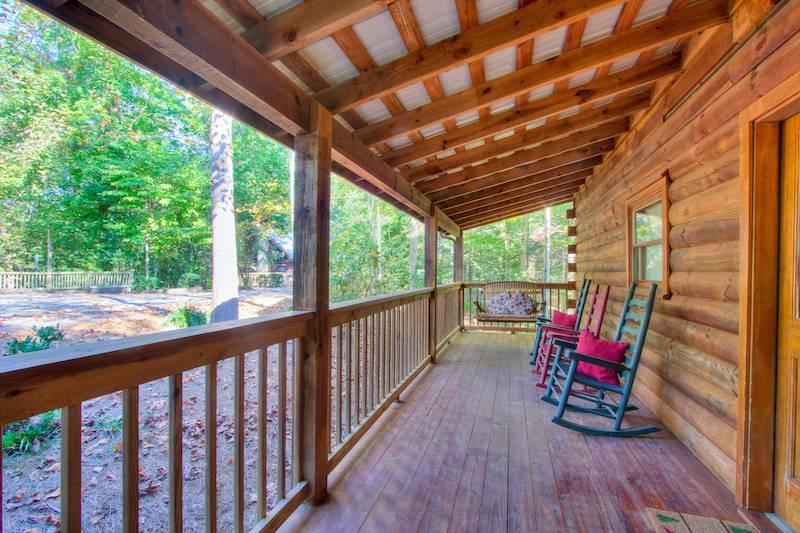 Southern Comfort is the perfect log cabin for two couples looking for a weekend retreat or a small family wanting to get away. 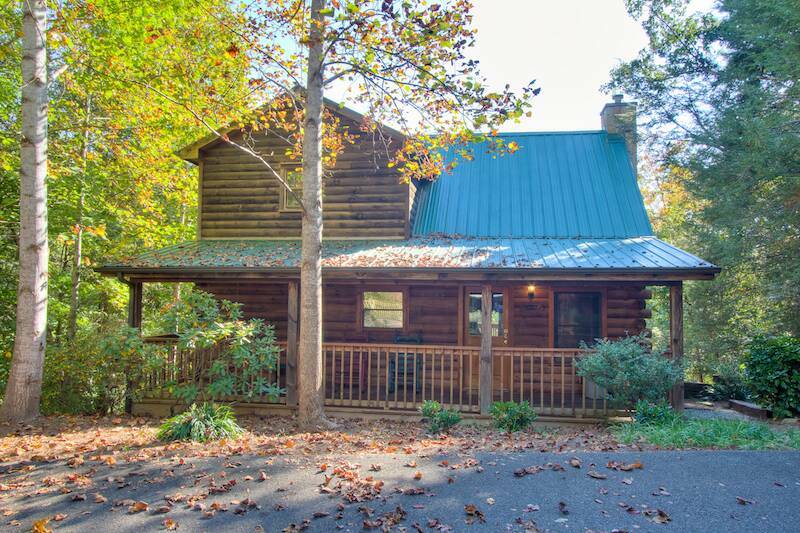 Located in the quiet, peaceful Gnatty Branch Village which sets between Gatlinburg, Pigeon Forge and just minutes away from Dollywood and the Smoky Mountain National Park. 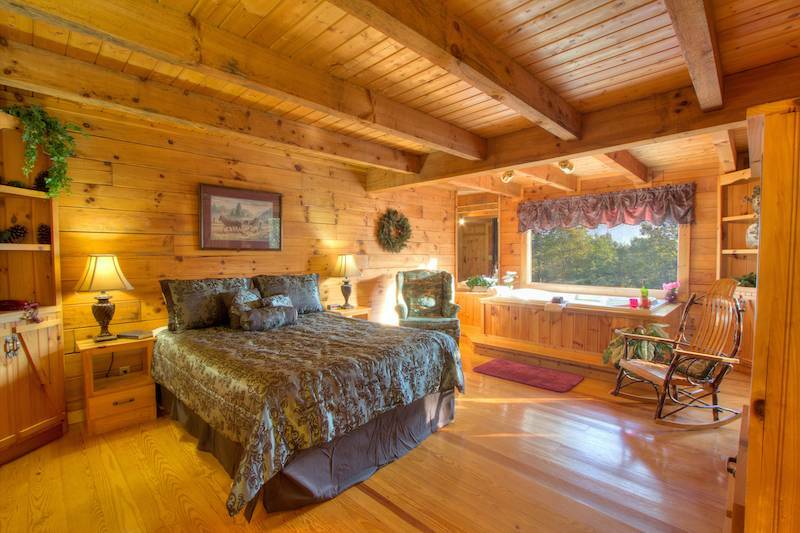 Upstairs features the Master Suite with Queen Bed, TV, Fireplace, Full Bath and Jacuzzi Tub with large window for the sunrise or sunset to shine in and set the mood for a romantic setting. 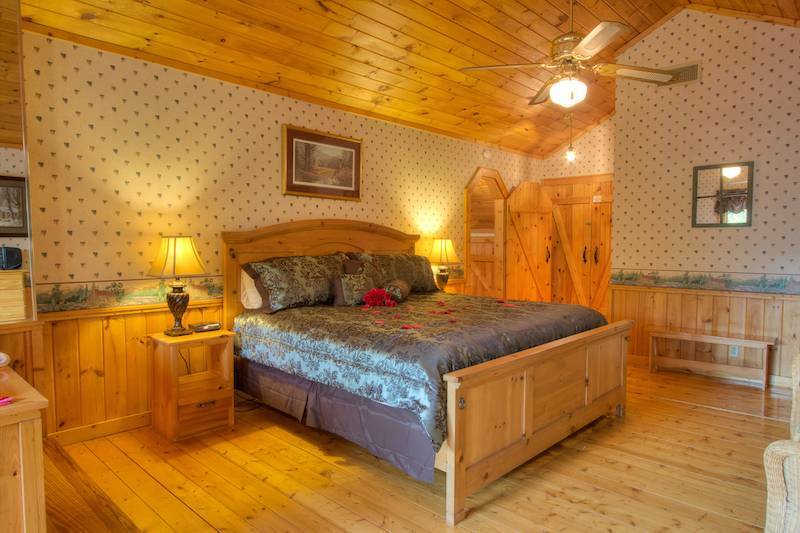 The downstairs bedroom features a King Bed, TV, Full Bath and Jacuzzi Tub with window for the sunrise or sunset to shine in and set the mood for a romantic setting as well. 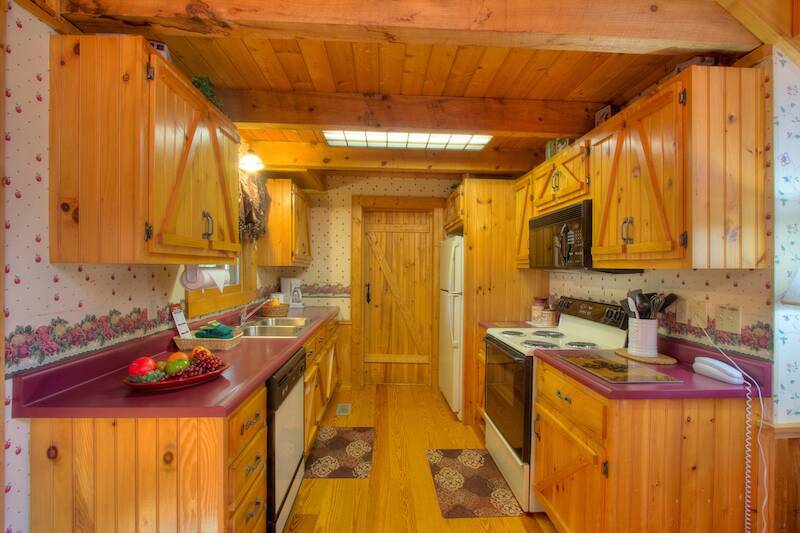 The kitchen is fully equipped and the living room has the 3rd, TV and 2nd fireplace. 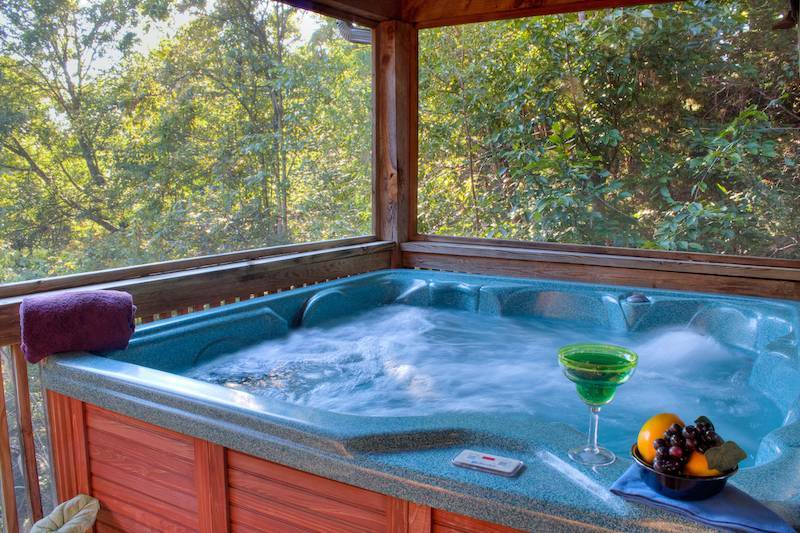 Off of the living room is a screened in deck with the hot tub for your enjoyment after a full day of activities and taking in the sites here in the Smoky Mountains. Enjoy your time exploring the natural beauty of the Smoky Mountains, fishing in the nearby Little Pigeon River or shopping at the outlet malls of Pigeon Forge. We had a great time. Everyone at the office was friendly and helpful. The cabin was very nice. We loved the decor and the beds were very comfortable. The hot tub could use a little service, but that was the only thing that wasn't perfect. I would reccomend Heartland to anyone. Great stay! For the past 6 years we have taken our family vacations at Myrtle Beach. This year I decided to make a change and head to the mountains so I went online and finally decided on renting a cabin with Heartland. I must say Southern Comfort was a great find and fun was had by all 6 of us. I will definitely plan sooner for our vacation next year to ensure we get a bigger cabin so we can bring more family including our family pet. We were all very satisfied. It was our 30th wedding anniversary that week, with no kids. We have stayed in the cabin before and we liked seeing some of the improvements going on. We seen a bear driving in and it was so cool! The cabin was a great place just to stop and rest from a day of adventure. The couch in the front room is the best (I wish I had it). Great to see the woods coming back from the fire. Everyone was so nice to hear it was our anniversary. It was nice to just walk down the streets in Gatlinburg with my wife. This was our first experience getting a cabin and I would do it again! Cabin and location was excellent, suited all of our families needs and was close to all of our planned activities! Wonderful getaway; close to everything! This cabin is nicely located, not too difficult to get to.. Beautiful scenery. Check in was super easy. It was in a beautiful area. The cabin was nice and homey. The only disappointments was no WiFi available and no ceiling fan in the bedroom on the main floor. Over all it was a great place to stay. Great time, enjoyed by all. The cabin we originally reserved was damaged and a staff member called to let us know and very helpful in finding another cabin. Very helpful and friendly upon checking in. We brought my mother with us, which was her first trip to the smokies in over 10 years, she enjoyed the trip. 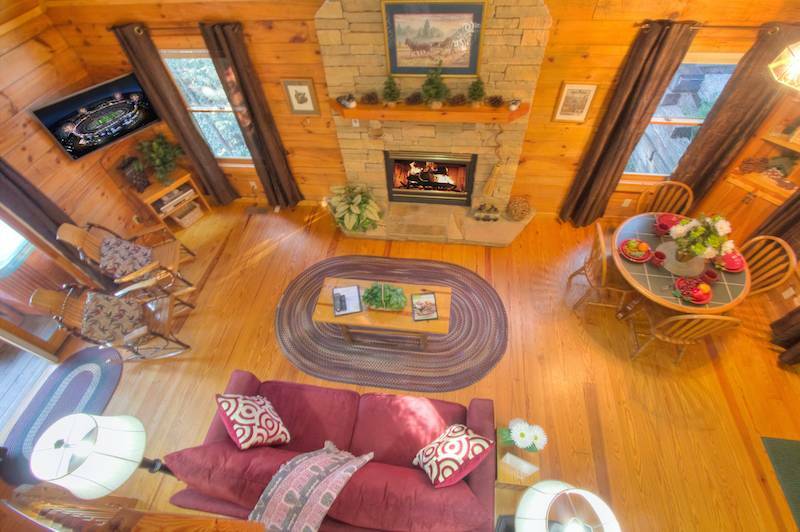 Cabin was in a great location, not far from parkway, and pet friendly. Love this cabin and everyone was so helpful and friendly. Will definitely stay again! The cabin was beautiful and the surrounding area was so peaceful, very close to everything. Very clean and comfortable. Will be back next time we visit Tennessee. As always......A relaxing few days in the mountains. We stayed in Southern Comfort over 10 years ago with friends, and it brought back a lot of fond memories! Gnatty Branch is the nicest, most convenient, and easiest area to find by far! We had awesome weather, fun adventures, and enjoyed our stay at Southern Comfort. Our cabin was in a good location right between Pigeon Forge and Gatlinburg. The cabin was clean. We enjoyed using the hot tub each evening and also the fireplace took the chill off in the mornings and evenings. The area was very quiet even though there were other cabins in the area. Check-in was very easy and the staff was helpful and friendly. We took advantage of the "Gateway To Fun Pass" for three of the shows that we attended. Enjoyed the cabin. Very comfortable. 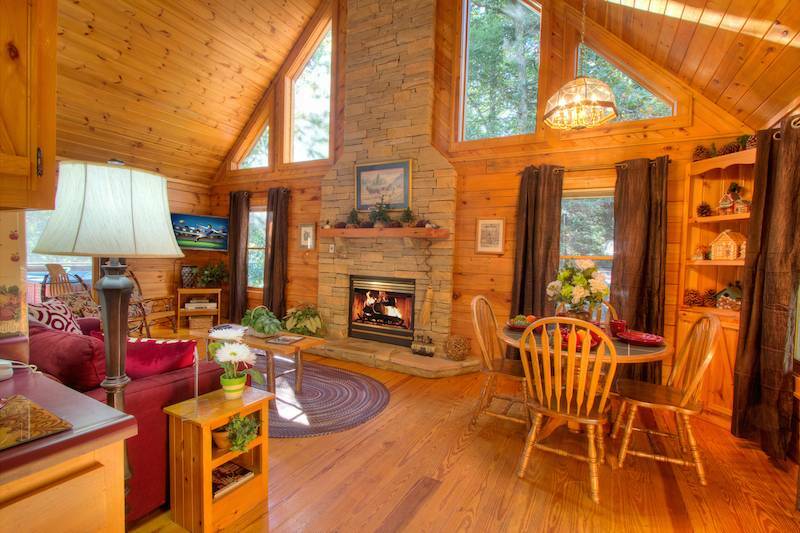 Perfect cabin for a short getaway! Nothing to complain about. 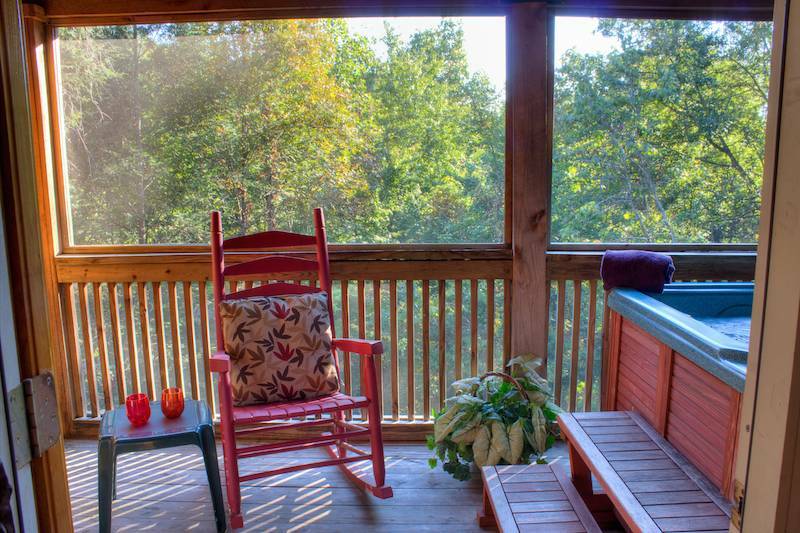 Small little community of cabins with private screened in balcony. We enjoyed the peace and quiet this area offered. Our Honeymoon all over again. We were celebrating our 20th honeymoon (anniversary) and were wanted a cabin close to everything, yet secluded and away from the bustle. Southern Comfort was the perfect cabin - not too close to the others, quite and private. Yet - within minutes of both Gatlinburg and Pigeon Forge. 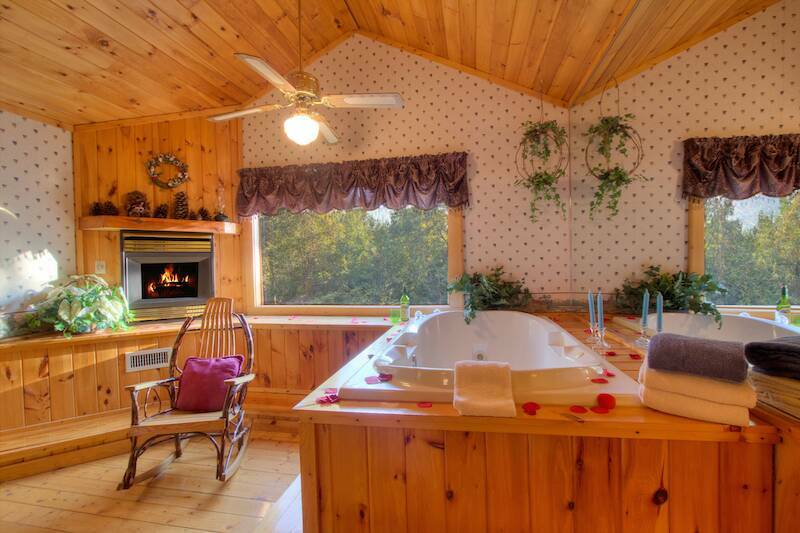 The 2nd floor bedroom was our favorite with the fireplace and Jacuzzi tub. We did the Gatlinburg crawl and enjoyed Pigeon Forge, but we could not wait to get back to our "home away from home" each evening. We look forward to staying in your cabins again. The cabin was beautiful and well maintained. I had everything we needed to have a relaxing and fun holiday weekend. The view was great and waking to the sun coming in the master bedroom window was truly heaven. 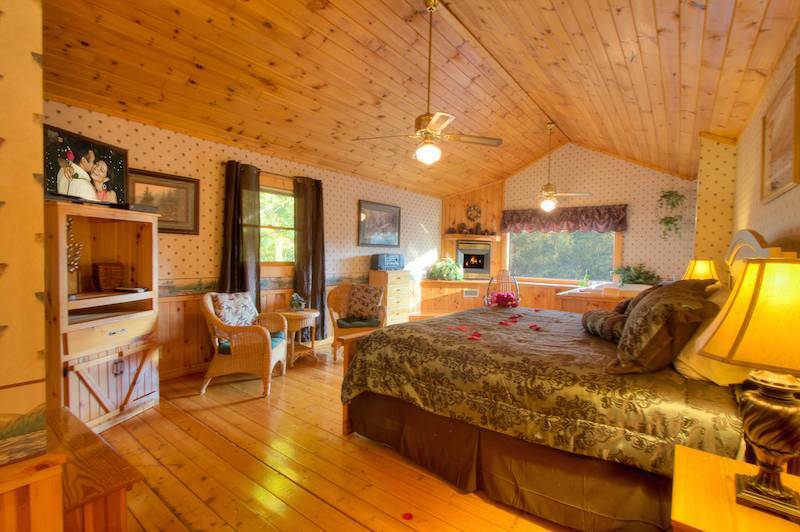 The location of the cabin made it easy to get to all the local attractions in a short period of time. 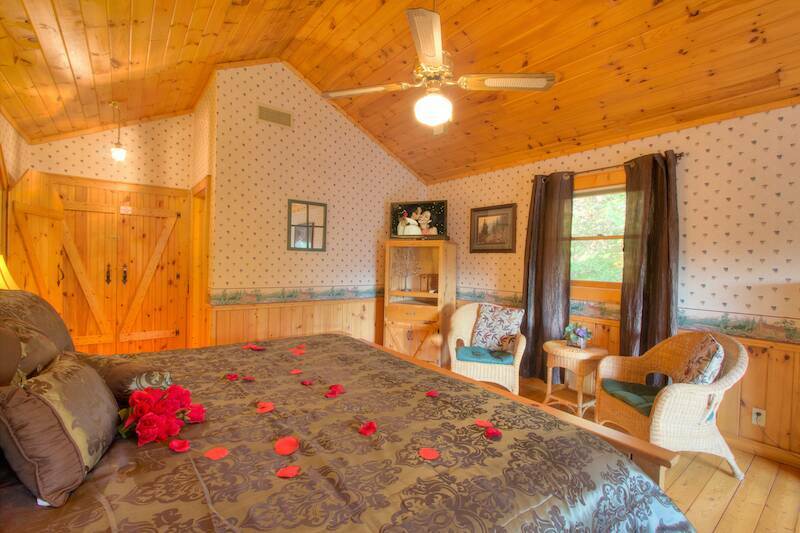 The cabin location also provided some seclusion while providing a air of romance for the two of us. We enjoyed everything the cabin had to offer and look forward to our next vacation in the Smoky's. I can't wait to book another stay with heartland rentals. Our cabin was so cute and comfy and can't wait to book a long girls weekend sometime soon. I hope to stay in one of the many propertys heartland has. I've now stayed in Southern Comfort and Kiss Me Goodnight and enjoyed both my stays. Perfect place to stay. LOVED the cabin and the area!! that we needed. The hot tub was a plus for our teenagers, as was the Jacuzzi. The Jacuzzi next to the open window with the mountain view was wonderful. We did not want to leave, but we will be back, as we love getting away to the Smokies. No complaints from us at all. Keep up the good work! Great place to stay but a little pricey. We loved the location and hot tub privacy. Great layout and roomy. DVD players did not work because cables were missing but everything else was great. The cabin was great, affordable, and spectacular views. It was cozy and had a lot of space. The cabin was a perfect getaway ! 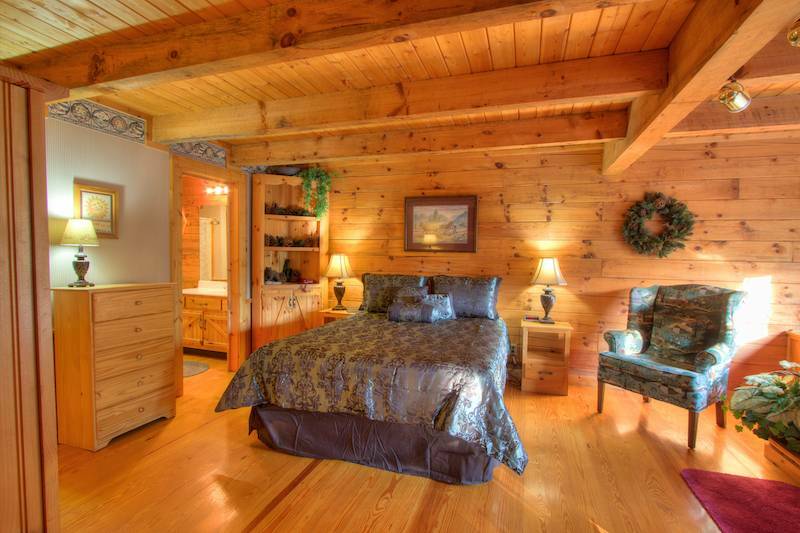 Everything was clean and comfortable, very nice secluded setting in the rear and quiet. Perfect !!!!! 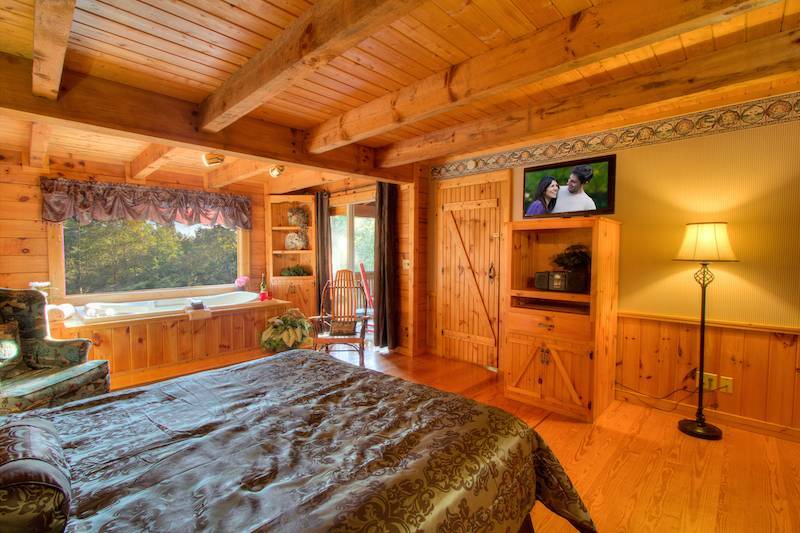 Great Cabin for Two couples!!! Loved the location and amenities at the cabin... Had a problem with the dryer and it was fixed before we were back from our day. Quick courteous service from everyone involved with the rental!!! We will be back! We enjoyed staying here, the location was great. The cabin was clean. There could have been a few extra amenities such as WiFi. It was a nice cabin though and we enjoyed our stay. The location, the service and the cabin with it's amenities were exactly what we needed & exceeded expectations!!!! Everything was fantastic! The staff was super nice and made the process completely painless. The cabin was amazing, and we plan on making this a vacation tradition every year. 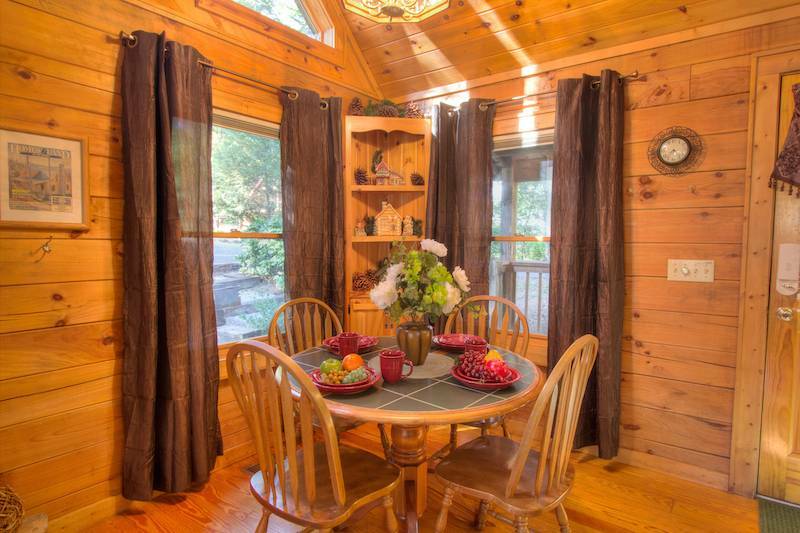 The location of this cabin was perfect because its right between gatlinburg and pigeon forge. We can't wait to come back! My mom and I come this time every year. We have tried staying with other rentals and always come back to Heartland. You all are awesome!! Everything was great. This was by far our favorite cabin so far!! This is our seventh stay with Heartland Rentals and plan on staying more in the future!!! This time we stayed at Southern Comfort. We love the cabins in this area. We had my dad along with us this time and was great space for three people. Nice and quiet and the fall colors were still out! My husband and I really enjoyed our stay. The staff was very friendly and our cabin was nice. 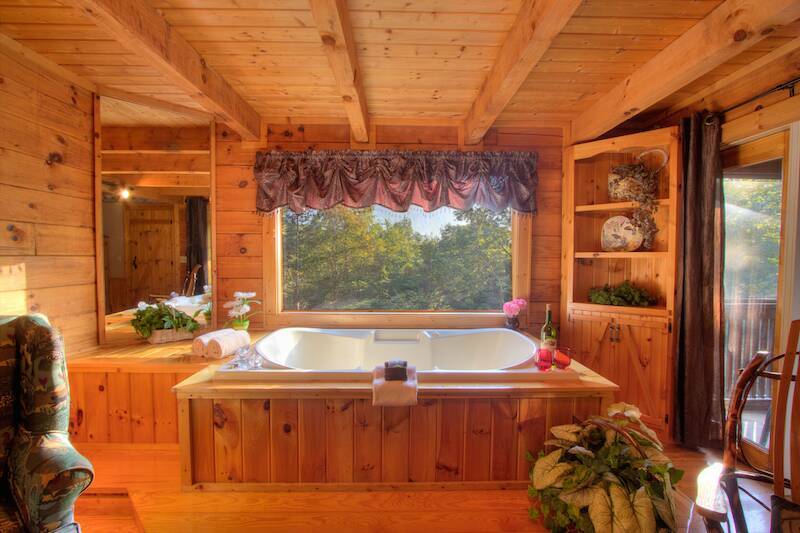 We enjoyed the hot tub on the deck as well as the jetted tubs looking out the windows. Wonderful!!! We had the most wonderful time - can't wait to come again - this was our 2nd stay this summer!!!! Awesome cabins! We will be back!!!! Perfect cabin in a great location! The cabin was wonderful! Very inviting and cozy. Our 13 year old said it was, "just like the movies!". Our stay at Southern Comfort was by far one of the most enjoyable stays we have had! Southern comfort was the perfect cabin! The view from the two Jacuzzi's and hot tub was wonderful! We especially enjoyed the extra space in the kitchen and the bedrooms. There was plenty of room for our daughter to get around in her wheelchair and although the entrance had a few steps, the bank worked great as a makeshift ramp. Thank you so much for suggesting this cabin for our family. Would recommend anyone looking for a great cabin experience to try Heartland Rentals. They are willing to meet your every need to make sure you have a great experience. Great customer service!! Third stay with Heartland and another great trip! 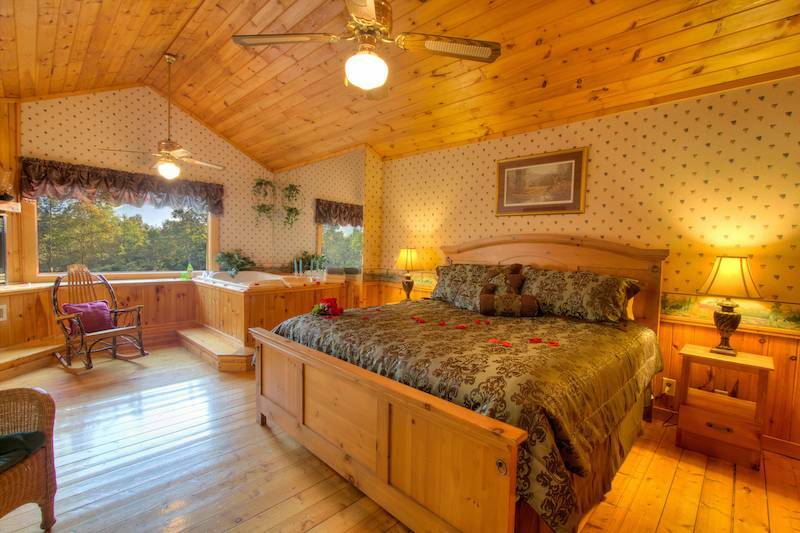 Nice location about half away between Gatlinburg and Pigeon Forge. Great customer service and a fabulous weekend! First trip to the area so we just picked Heartland to try a cabin to rent where our kids could come meet us. Easy process, beautiful cabin, great time. Very cozy home like feeling. Love the view. Can't wait to come back. Staff and cabin were great?? Our cabin was great, clean, well equipped and nicely furnished. Rustic yet with all the comforts of home. The staff was so nice and helpful. We loved it. Highly recommend Heartland cabin rentals.?????? Cabin was clean and very comfortable. Kitchen was very well stocked with dishes utensils and cookware.Location between Pigeon Forge and Gatlinburg was great. 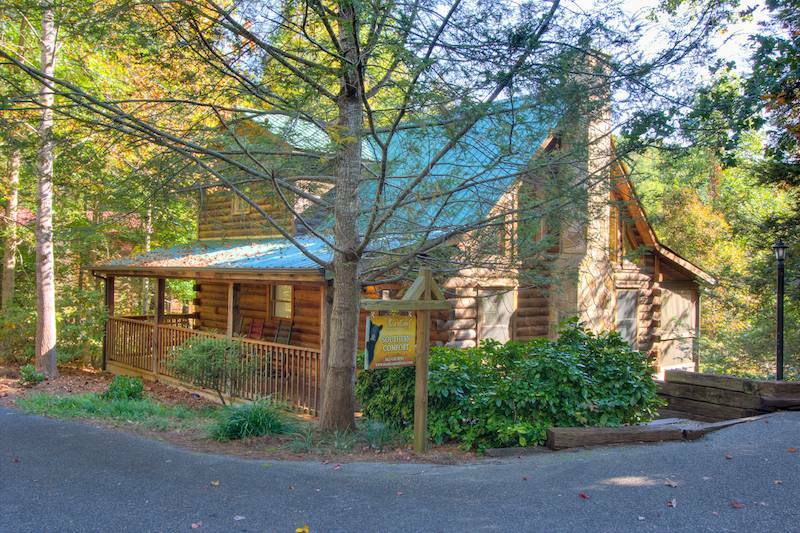 If you are looking for a cabin to stay in around Gatlinburg/Pigeon Forge, I strongly recommend Heartland Cabin Rentals. From the very beginning, the process for reserving and paying for the cabin was very straight-forward and professional. Everyone we interacted with (Customer Service when reserving and the contact on check-in day, both via phone) was courteous and knowledgable. The cabin itself has a beautiful view of the mountains out the back and everything was very clean and organized inside. We had no problems with the cabin and greatly enjoyed our few days there. We loved Southern Comfort. It was perfect in every way. We loved the cabin Southern Comfort. 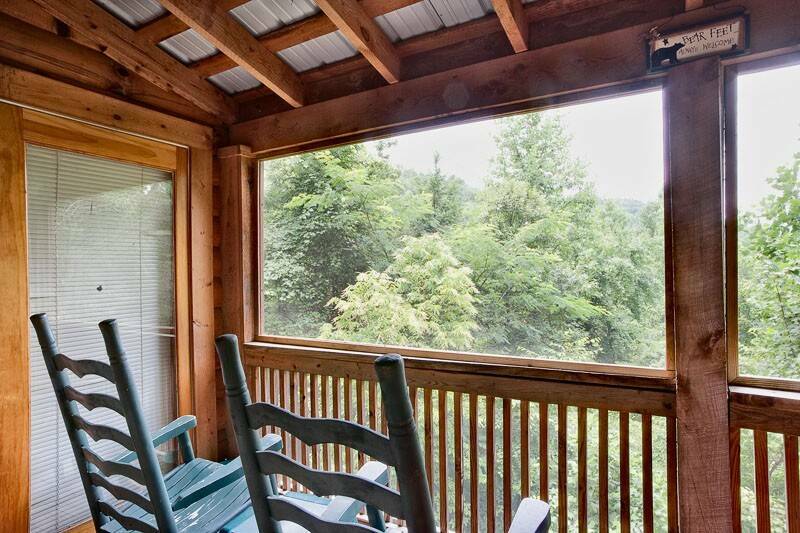 My son and I said last night that we would like to rent this cabin again when we come to Pigeon Forge. Thank you for a great time. We had a wonderful stay in Southern Comfort. 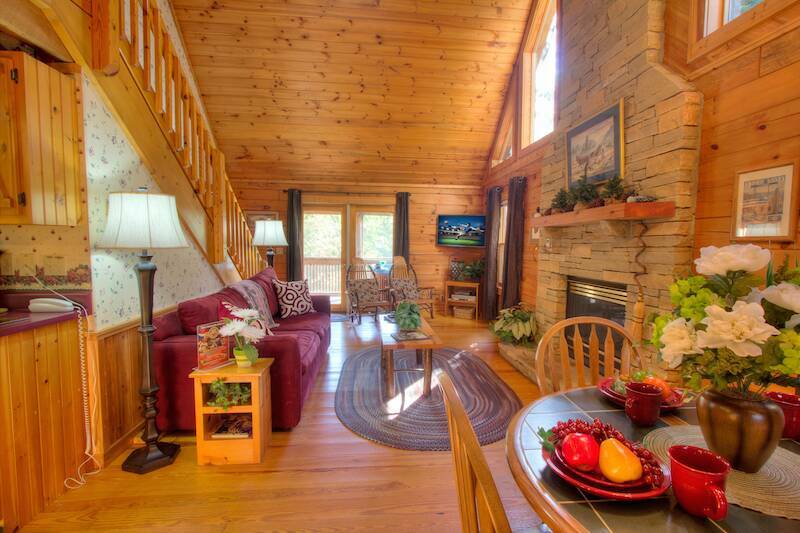 Your staff was very nice during our check in -- the cabin was clean and very nice -- peaceful and quiet in the evenings. We really enjoyed our stay and are looking forward to staying in this cabin again.